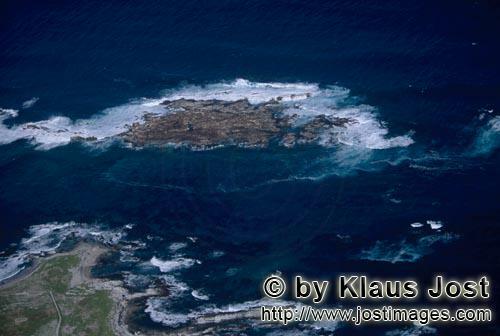 Two islands lie six nautical miles off the coast of Kleinbaai. Dyer Island is home to African penguins, cormorants and many other sea birds, while Geyser Rock accommodates a large colony of the South African fur seals (Arctocephalus pusillus). They are the reason for the presence of the great whites. Shark Alley, a flat channel of water about one hundred metres wide, running between the two islands, is the hunting ground of the great white. He can be found here virtually the whole year round.